If your children were to ask you if you’d ever bullied anyone, what would your answer be? 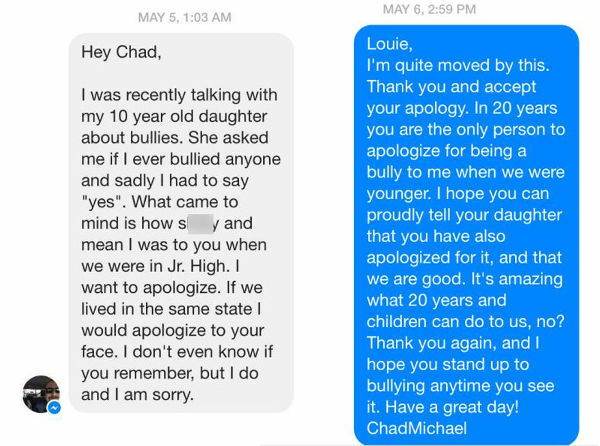 A father who was asked this sobering question by his daughter decided to come clean – to her and to his victim. 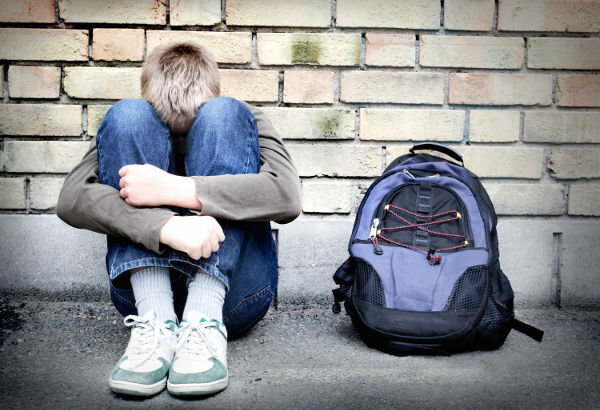 While we may like to think that bullying victims don’t carry the hurt and the scars into adulthood, the sad truth is that systematic attacks during childhood can have a lasting impact. It’s the perfect example for children to realise that it’s never too late to apologise. But it’s also a demonstration of the impact of bullying, well beyond the school yard. Continually ‘loses’ money or starts stealing. There are also some more subtle signs to look for, like your child often being alone or excluded from friendship groups at school, or being unable to speak up in class. The Alannah and Madeline Foundation also has some great tips on what to do if you think your child is being bullied. Allow your child to tell you their story, as many times as they need, and be empathetic. Discuss what happened and try to not let your own emotions take over. Remind your child that it’s ok to feel hurt, but it’s not ok to be bullied. Get as much information as you can about the situation, but don’t offer to confront those involved, so as not to inflame the situation. As this is the most common place for bullying to occur it’s important to involve the school of the situation. Don’t encourage your child to fight back, but try and help them explore ways to respond to the bullying.